Wendy Rivera is a Florida lawyer with a strong public interest track record. She is the Managing Attorney at the Rivera-Aguilar Law Firm, P.A. and serves as Policy Counsel for a national nonprofit. ​​ She served as the National Director of Hispanic Affairs and Counsel for the Multicultural, Media, Telecom and Internet Council (MMTC), a national public interest firm recognized as the leading advocate for civil rights in the mass media, telecommunications, and broadband industries. 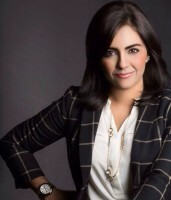 In her role, Wendy specialized in communications law and the impact on Hispanics entrepreneurs. Margie Viera is the co founder of Aspire to Inspire community organization. She is a fierce advocate of education and passionate about access to quality education for all children, especially the most vulnerable kids. Together with er friend and colleague Wendy Rivera, they launched Aspire to Inspire community organization to inspire Hispanic youth to stay in school and reach for the stars.